The first stem cells from endangered species have been produced, in hopes that reproduction and genetic diversity will be improved. Oliver Ryder has been stockpiling skin cells and other materials in his “Frozen Zoo” for the last 5 years, analyzing them in hopes that stem cell research could preserve endangered species or expand genetic diversity. Genetic diversity is so important when an endangered species population is dangerously low because inbreeding results in unhealthy children. 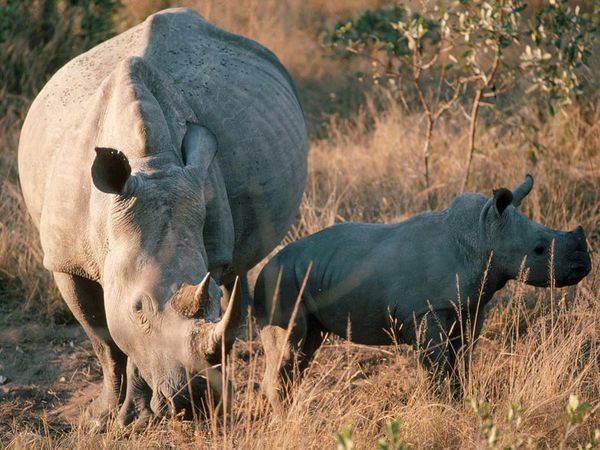 For example, one of the test animals was the northern white rhinoceros, a species so endangered that only seven remain on earth. While none of the animals have reproduced lately, if they do, inbreeding would certainly be a concern since the potential for diverse mates is so low. Even if results don’t happen automatically, the stockpiled stem cells could be useful to scientists in the years to come, after the field of stem cell researched has advanced. Researchers are also considering taking sperm and egg from endangered animals and fertilizing them in other live animals. One researcher has pointed out that this might be more successful, and less controversial, than cloning.